The U.C. 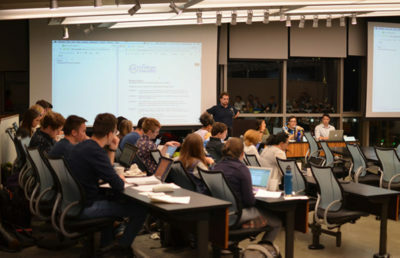 Berkeley Faculty Caucus has begun gathering signatures for a petition decrying the use of violence against peaceful protesters on campus on November 9th, 2011, and calling for a statement of no confidence in Chancellor Birgeneau and his administration. We — a coalition of graduate and undergraduate students of the University of California and allies of public education more broadly — wish to go further. We are calling on U.C. 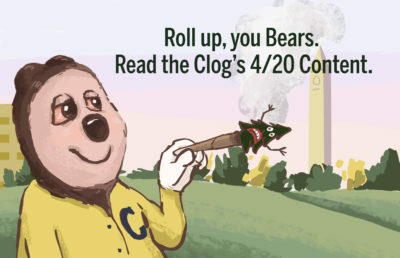 Berkeley Chancellor Birgeneau, U.C. Berkeley Executive Vice Chancellor and Provost Breslauer, U.C. 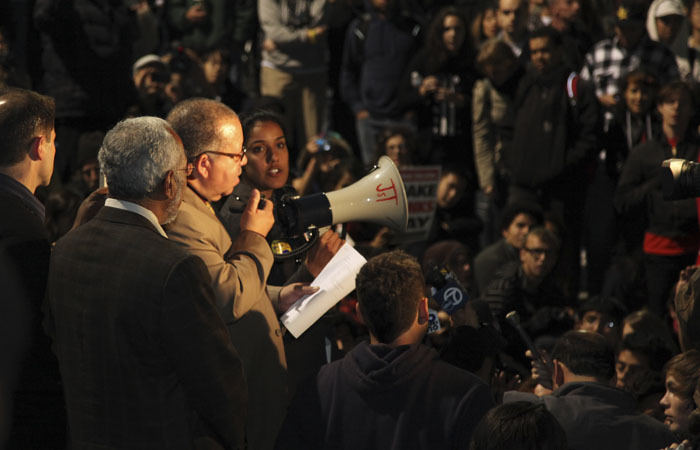 Berkeley Vice Chancellor LeGrande and U.C. Berkeley Chief of Police Celaya to resign, effective immediately. On Wednesday, November 9th, 2011, Dr. Birgeneau, Dr. Breslauer, Mr. LeGrande and Mr. Celaya violated the public trust. They authorized officers of the University of California Police, the Alameda County Sheriff’s Department and the Oakland Police to use force in breaking up a peaceful protest. They have told us that the protesters overstepped their bounds by attempting to set up an encampment on University property. We ask how the enforcement of a University policy could trump the Constitutional protection of free speech and free assembly. We ask, further, how this policy justifies the extraordinary violence that the police directed at student, faculty, staff, alumni and community protesters, all of whom were non-violently resisting. The police response Dr. Birgeneau et al authorized turned the setting-up of seven tents into an occasion for brutality, injury and mass resentment. Dr. Birgeneau, Dr. Breslauer, Mr. LeGrande and Mr. Celaya, as senior members of the U.C. Berkeley administration, should stand with the 99% by supporting the Occupy Cal encampment and calls for Wall Street corporations and the super-rich to pay their fair share for refunding public education. By authorizing police violence, they are promoting the interests of the 1%, including the many U.C. regents who sit on corporate boards. They have defaulted on their responsibilities to protect students and steward the University of California in these difficult times. U.C. Berkeley has a venerable legacy of protest that is an inspiration to many around the world. What is especially grotesque is that Dr. Birgeneau et al continue to insist that they are the inheritors and defenders of this legacy, even as they routinely avail themselves of police violence to silence free expression. We reject their rhetoric as so many lies, and stand in solidarity with those who are truly fighting for peace and justice – from Egypt to Chile, and from New York to Oakland. Given their betrayal of the people’s trust, and the gross violations of Constitutional protections and basic principles of human decency that they sanctioned on Wednesday, November 9th, 2011, we consider Dr. Birgeneau, Dr. Breslauer, Mr. LeGrande and Mr. Celaya unfit to lead the University of California in keeping with its ideals. We ask that they step down immediately. Soumya Karlamangla is the assistant city news editor. Notes from the Field is your destination for all things news related from crime briefs to student government, city life and much more straight from the news desk.